By Caz | October 18, 2018 | This post may contain affiliate links, which means we may receive a small commission, at no cost to you, if you make a purchase through a link. Read our Disclosure. Health and well-being incorporates so much more than just exercise and a good diet. In that definition, we forget the importance of a sense of purpose, connectedness to others, being present in the moment, and mastering your mind. People are feeling more connected than ever but feel more cut-off than ever: from joy, from a sense of purpose, from each other, and from life itself. They’re searching for something more. Depression and anxiety are on the rise, especially in children, which is frightening. If this is affecting our children at such a young age, and they don’t know how to cope, what will life be like for them as adults. After traveling around Australia for 18-months and now being settled, I notice life-stress creeping back in. We explore and play less. We run around more to fulfill obligations and others’ schedules, the connection to the devices are happening more, and reruns of The Next Step are being played more than I’d like. I’m itching to say Sayonara and get back on the travel road. I know that it makes me a better and more connected person, and it offers myself and my children a richer and healthier sense of well-being. “Our relentless pursuit of the two traditional metrics of success – money and power – has led to an epidemic of burnout and stress-related illnesses, and an erosion in the quality of our relationships, family life, and ironically, our careers. In being connected to the world 24/7, we’re losing our connection to what truly matters. Travel leads people back to their soul. Travel empowers the well-being in children. Strong core = strong wellbeing. Can travel and good eating work together? It’s why we all want to do more if it. The soul wants us to have this permission to live freely, to bring back wonder and awe, and connect to life more deeply. To express what truly matters. Yet, we continue to let the busyness of our life take over and our children suffer. They feel our stress, they create their own, and they don’t know what to do with it. We get sucked into this world of cyber connectedness and over busyness so quickly; travel is a way to jump out of the vortex and work on your overall well-being. That’s why we encourage you to travel with your children as often as you can, even if it’s just a weekend getaway. Seek out those experiences that will help your children feel healthier and more in control of their lives. Give them the space to unplug and to reconnect to what truly matters to them. 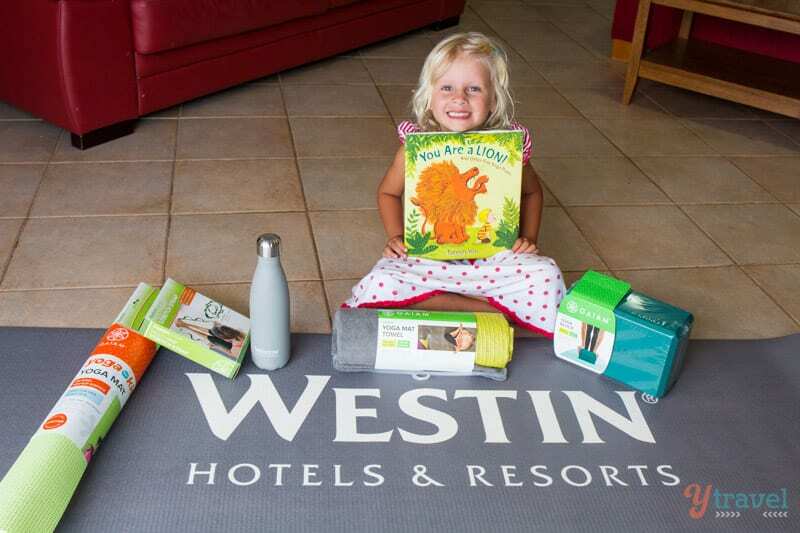 We are honored to be working with Westin Hotels and Resorts this month sharing their new family program to make travel with kids easier, more educational, healthy, and of course, fun! Initiatives based around families who travel and keeping active and healthy on the road are fantastic and important to us. We’ve seen first hand that travel contributes to our kids overall well-being. Let’s start them young so they don’t have to learn this stuff when they’re older! Travel lends itself beautifully to an active lifestyle. Even if a relaxing holiday is what you seek, there are plenty of hotels and resorts that offer programs to help your kids move their body. 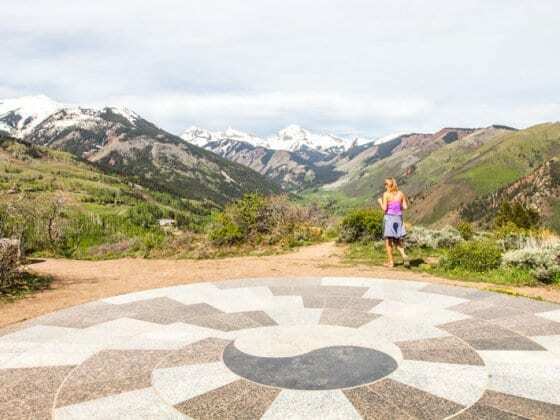 If you’ve followed our blog for some time, you’ll know from the photos of us hiking, bike riding, kayaking, swimming, playing tennis and doing yoga that we love movement! If my girls aren’t coming to yoga class with me, they’re following Cosmic Kids Yoga on YouTube. 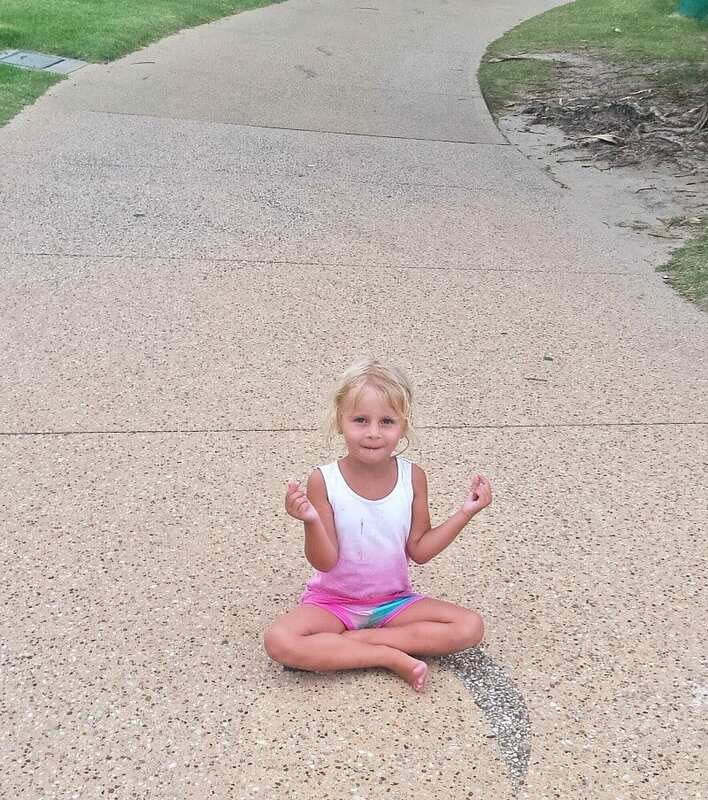 During walks Savannah is now stopping mid-path to meditate. “It calms me down Mummy,” she says before jumping up to start galloping again. Our travel experiences have taught them the benefit of connecting to their body. It’s not something they necessarily seek to put on their agenda for the day, it’s just something they are and naturally do. Seek out accommodation that provides opportunities to be active from yoga classes, to basketball games, to running clubs, to playing tennis. Take your children with you to your workouts. It will teach them so much about good habits and caring for your body and they will love this experience with you. My girls love to work out with me, especially if we can throw in some downward dogs, cat poses and snake poses! 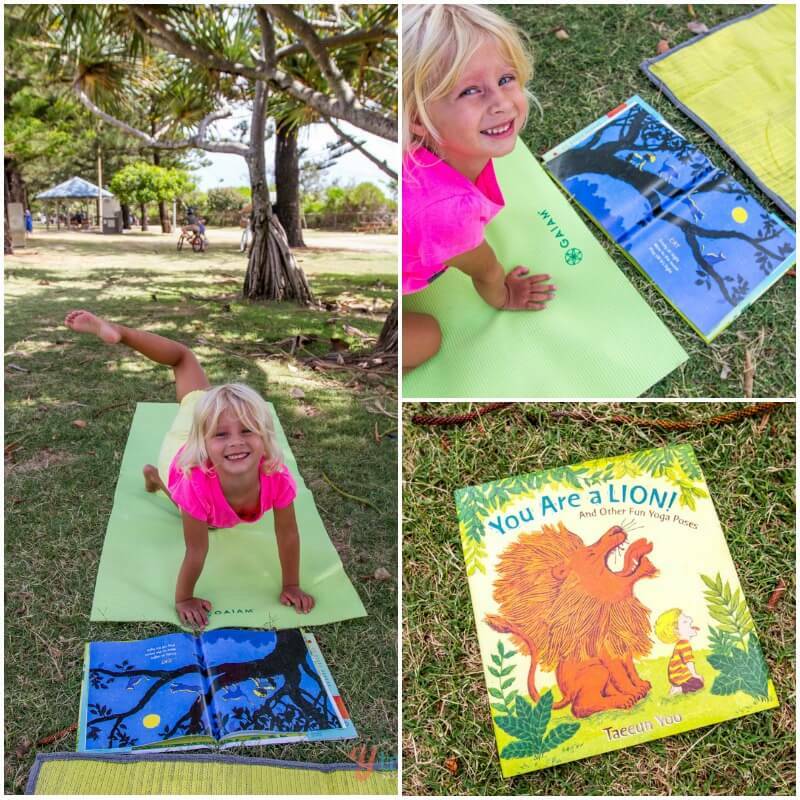 I do yoga every day and I love that through the Westin Family Program we have a kids yoga book with playful animal poses, and kids yoga mats. 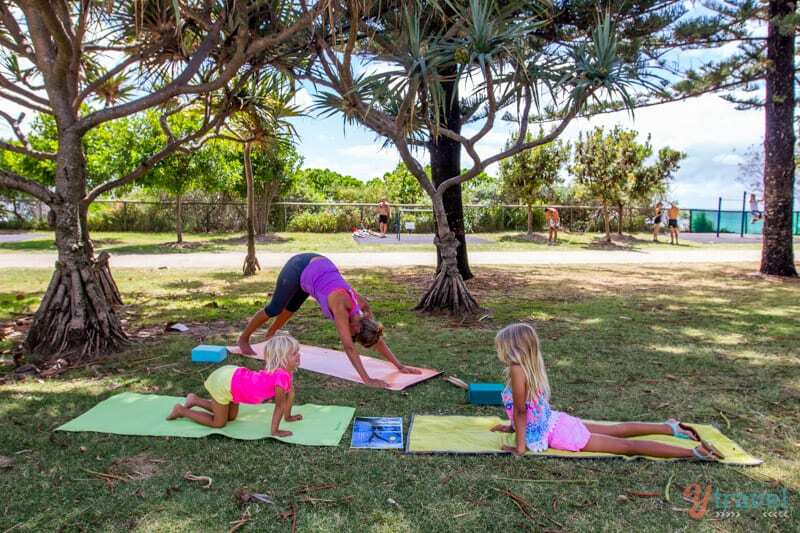 Yoga is great for the kids too, helping with flexibility and focus, and is FUN. Incorporate as many active experiences as you can on your travels, and at your accommodation. Don’t fear your children are too young. They can do far more than you think. Tap into their abilities and stretch their comfort zone a little more each time. They’ll be so exhausted of an evening they’ll crash early for you. Leaving you to crash along early beside them or have some much-needed foot rub time with your loved one and a good book. I don’t think society is designed very well to improve our confidence, especially when it comes to travel. Just turn on the nightly news and you’ll be told the world is a scary and dangerous place. We’re taught to fear everything, including our ability to make decisions following our dreams and try new things. There’s so much structure, routine, and control that children aren’t provided with the opportunity to develop and grow their confidence. But when you travel, it throws them out of that box and comfort zone. They become more aware of who they are, what they love, and what their abilities are – and how to grow them. Confidence is such an essential skill to have for a fulfilled and happy life, which is a huge part of overall being. I love the travel life we’ve given our girls from an early age as confidence comes more naturally to them. I’m amazed when Kalyra comes home from school and asks to do surfing lessons, says that she’s joined morning tennis practice, or to tell me she’s joined the choir and violin classes. She doesn’t require any coaxing from me, she has the confidence to give things a go, not caring about whether she’s got the chops for it, but just wanting to have fun. Her confidence has grown from all those travel opportunities she had like snorkelling in the ocean, zip lining over rainforest canopies, and talking to strangers from all over the world. Travel with your kids more and allow them the space to explore and stretch their own boundaries in a fun and thrilling way. Unplugging, disconnection, reconnection, these are words finding their way into our psyche lately. It’s what we are exploring as we plan our US road trip. It’s essentially why we travel as much as we do. It’s about unplugging from the chaos of life to embrace connection and meaningful experiences. People are suffering as a result of feeling so disconnected, to each other, to their communities, to their planet and to themselves. Families are choosing to travel more so they can get this connection back. Travel is one way to pull children out of the cyber world and allow them this grace and freedom to explore more who they are and how they fit into the world. Our family bond is strong thanks to travel. That’s why we continue to incorporate short getaways into our lifestyle. We love creating memories together and reconnecting back into the joy and wonder of being in the world and experiencing its diversity. Wisdom is found in the deep connections we experience with others and with life. In order to strengthen that connection, we need to disconnect from the devices and chaos of life that impede upon our wellbeing. Travel helps you, and teaches your children, how to get back to their centred place of wisdom, harmony and strength. When they’re connected to that, they’ll know how to manage the challenges that come with life as they get older. 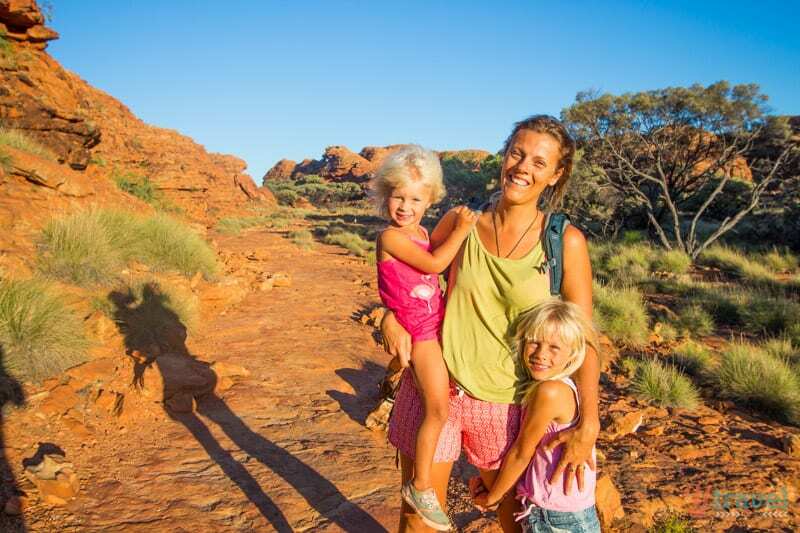 The Westin Family program brings the local to life for kids at the property and beyond. 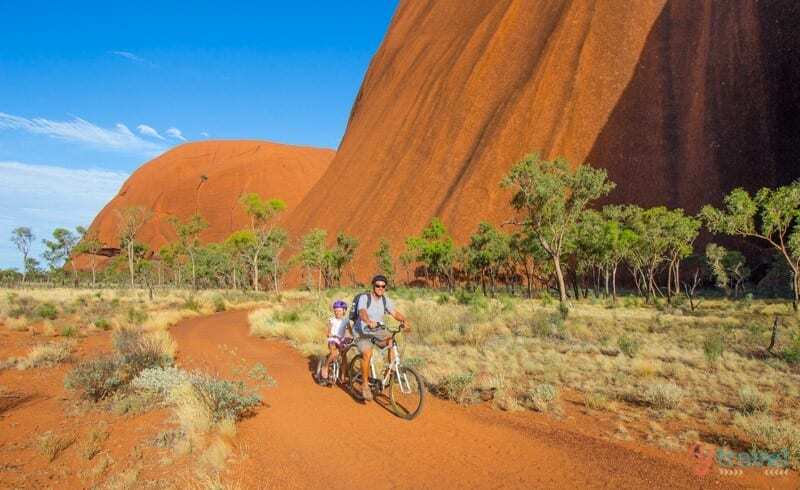 They offer a series of inspired activities that help kids connect with their environment and learn about their destination, enriching any family’s travel experience and allowing family members to grow closer in moments of discovery. Admittedly, this can be the most challenging aspect to maintaining overall wellbeing when you travel. It all depends on your travel style, budget and destinations. Some countries have healthier cuisine than others. 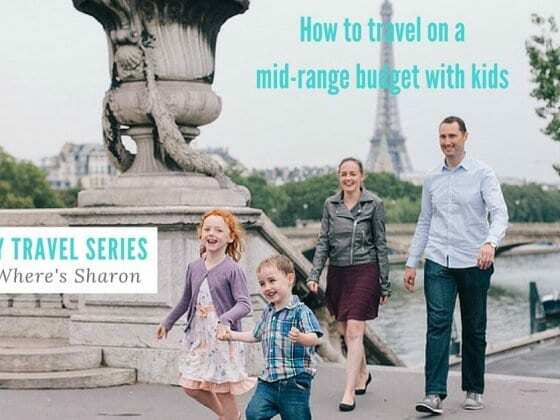 When we travel, especially short-term, we’re more inclined to let our kids overindulge a little with ice cream and special treats. You all know that good food is essential for long-term health. We travelled with a high-speed blender on our road trip so we could make our own healthy smoothies, and snacks. Unfortunately, in the Western world, there are not a lot of great menu choices for kids in restaurants. Seek out places that offer true healthy menus. Look for whole foods over processed and packaged ones. Replace the sugar filled fake juice with plenty of refreshing delicious water! Westin Hotels and Resorts have teamed up with SuperChefs™, a group of doctors, dentists, dieticians and chefs dedicated to educating kids on the importance – and the fun – of eating smart and have a new Westin Eat Well Menu for Kids, including healthy juices and smoothies – the ones made from real fruit and veg! Travel will keep them connected to the sense of wonder and awe and gratitude. All of these emotions contribute to our overall well-being as they keep as connected to life and to possibility. The wonder, awe and gratitude keeps us seeking out the miracles so they continue to fill us up with power to live a life worth remembering. You cannot travel and not feel total amazement at how miraculous life is and you’ll never get the true sense of that by reading about it in a book. You set the standard for how your children create their life. They learn how to look after themselves and how to prioritise based upon what you do. If you travel more, your sense of wellbeing will improve too. When you fill up your own cup, you have so much more to give to your children. They want you to be healthy and happy. They want you to connect to them, to life and to joy, so you can give them so much more. Often, the path of money and power calls me. The quest to accumulate more possessions and buy a big house and car. I know there is soooo much more we can do in regards to our business, and I often think about, considering our position, how much better we “SHOULD” be doing. But, then I think about my values and my priorities. Overall well-being, connectedness to life and my children is more important for me and them. So I choose the path of more travel and accumulating memories over possessions. It fulfills me and I’m not willing to sacrifice that for more wealth or success. The new Westin Family Program was created in response to the growing global demand of family travel and ever-evolving needs of families. They want all guests, including children, to leave feeling better than they arrived. Their program incorporates activities to help them expand children’s horizons and wonder, move their body and offer nutritious eating options. At last, a hotel that understand the importance of a delicious, healthy menu for kids. No more chicken nuggets! Westin will introduce a global family package, which, depending on property location, may include complimentary Kids Clubs access, discounted rate when booking a second room, the option to book connecting rooms, and for children to eat free from the Eat Well Menu for Kids. What about you? 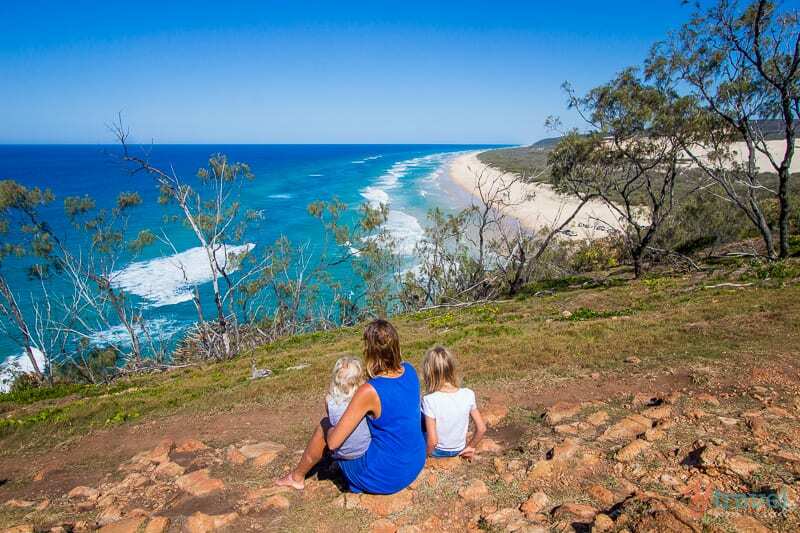 How has travel contributed to your kids wellbeing? They are really good at meeting new people. I love how they meet another child and become great friends with them within five minutes! What you wrote is so true! Inspiring! You are doing a great job with this blog! I wish you a great 2016! It’s so important Nard. There are far too many distractions and so easy to get sucked into the connected world. I find travel is the easiest way to pull yourself back out! I know travel improves the well-being of my son. Most importantly we get to reconnect as family. We also do get outside more and therefore are more active. The other benefit is that my son learns about different cultures and so becomes more tolerant of others beliefs – if we were all a little more tolerant there surely would be less evil in the world. So true. So much more is gained by children travelling with their parents than can possibly be lost through working outside the mainstream school system for while. It natural stimulates them to want to learn, their ability to adapt to change and interact with a wide variety of people from all sorts of social and cultural backgrounds will often be well beyond others in their age group. Great post. I really think more families need to travel together. 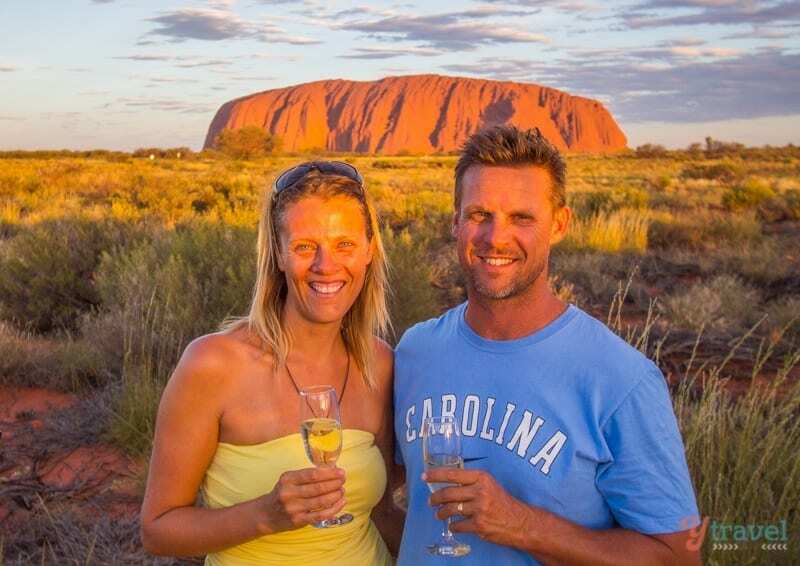 We have only travelled within Australia and try to do at least one big 2 week trip a year and one to two small ones. 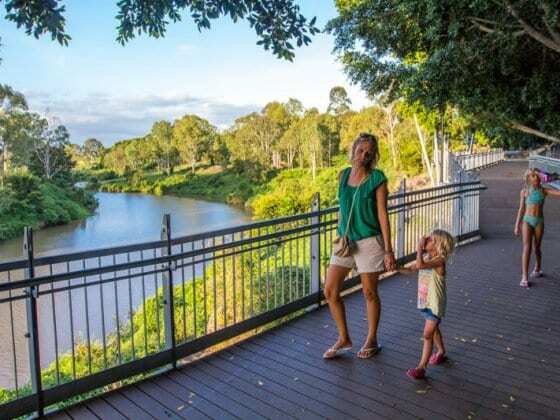 We live just near the border do Qld/NSW and so are fortunate to have much natural beauty close by for day trips. My son who is almost 5 is so much more connected to the natural environment and is one if the few 4 year olds I know who will ask if we can visit museums and art galleries. I can see how by exploring the world around him he is learning about himself and his place in the world at the same time. Yes travel as a family can have its challenges but I think the benefits far outweigh the negatives. Beautiful article. We are on the road with our children in the USA. We have seem my sons confidence grow so much! Our daughter just experienced her first snow fall. 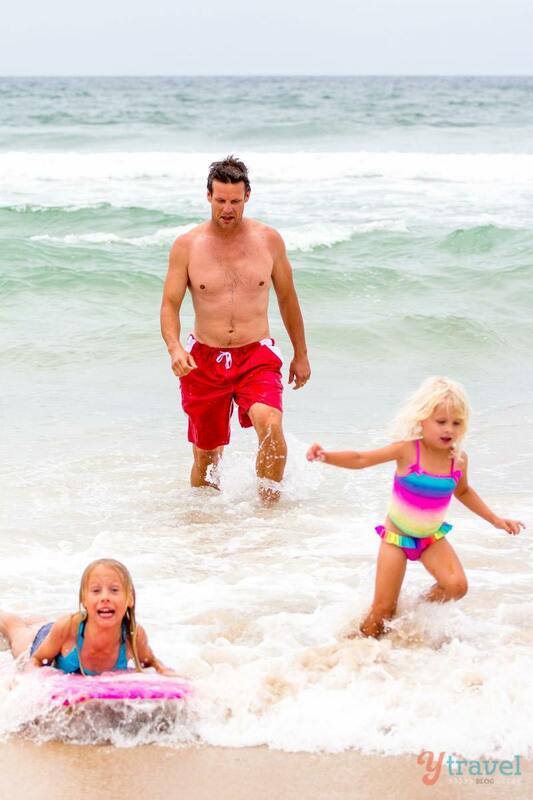 It is a wonderful thing to be able to experience the world, life, with your children. The years go by and they grow up, this is the time to make memories. Thank for sharing your heart and your experiences. You have inspired us! Wow. Thank you for sharing such an inspirational post. Now that I’m nearing my 30s, I’ve thought about settling down and having children. I’ve been worried that when the time comes, I might not be able to simultaneously balance travelling and motherhood. Typical fears that come hand in hand with the thought of settling down. What you and Craig do motivates me and actually got me excited about eventually travelling with my own family! Children have an innate curiosity early on and it’s nice to expose them to the wonders of nature and the world early on. I really have so much respect for the way you both raise your children and all your encouragement towards piquing their sense of wonder and awe and finding their inner balance. One of the greatest paradox of our time is that technology promises connections in a setting that doesn’t require physical human interaction. Travelling to far-flung destinations without a stable internet connection helps me put things back into perspective. We are so small but we are part of a diverse and expansive terrain. This humbling experience reminds me how important personal connections are. Looks so fun! Thanks for this share. I’ve just reconnected with you after taking some time out! I travelled with my kids for 9 months and it was the best thing I did for all of our well-beings. Travelling brings me a huge sense of well-being and i’m just trying to get my head around how being back in the UK leaves me feeling. I worked abroad for a short while which brought me a sense of bliss but at the same time cause physiological pain in my body from not being at home with my husband and family. I find being in one place affects my style of eating, weight and I am unhappy and dissatisfied (presently) with where I am. I have no answers or solutions and struggle with knowing what does me good but not being able to achieve it. I’m sure all will unfold as its meant to.